Beef is a natural food pairing for Zinfandel. 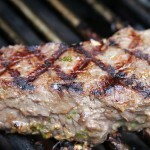 Zin can stand up to the strong taste of beef and is even complimented strong seasonings because of its spicy flavor. 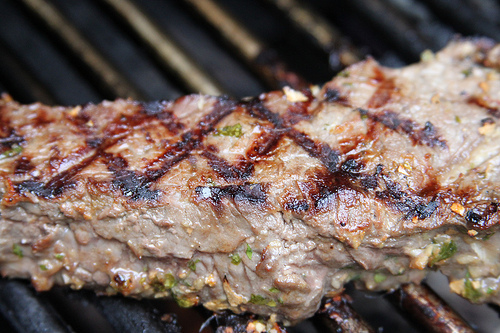 Follow some of these tips for a perfect grilled steak to pair with a Zinfandel. When we are talking about pairing Zinfandel with BBQ, we mean the real deep South, low, and slow version of BBQ. And that usually means strong, spicy sauces. Try these recipes as a a sandwich or just indulge your inner carnivore and skip the bread with a slow cooker pulled pork recipe. Perhaps not the first thought for most people for pairing wine with pasta, but Zinfandel’s spice works well with many Tomato based pasta dishes. This arrabiata sauce has a nice kick and is a great Zinfandel food pairing. 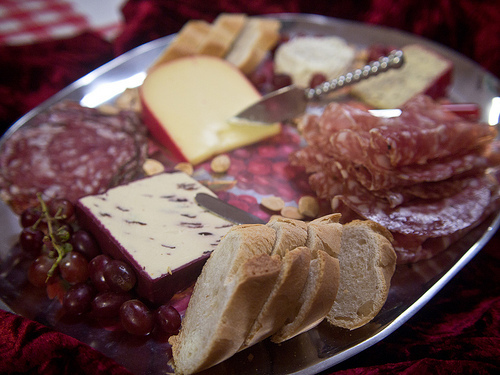 Charcuterie, or the process of preparing and serving cured meats, is one of the fastest growing food trends in the US. 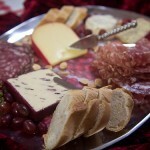 These strong tasting meats are the perfect food to pair with Zinfandel. This is most often done with salts, smoke, or just hanging meat to dry. No, we’re not going to suggest that every reader invest in a drying or smoking shed because there are great cured meats available at a well stocked delicatessen. Rather than provide a recipe on how to cure meats, something that very few people have the time or expertise to do, we instead have provided a few examples of well thought out charcuterie trays from Marcus Samuelson and Bon Appetit. Zinfandel pairs with beef very well but be sure to avoid fattier, well marbled cuts. Those are better complimented by red wines with heavier tannins which clean the fat from your taste buds. Avoid pairing Zinfandel with sweeter BBQ sauces. Doing so would violate one of our fundamental rules – never serve a food sweeter than your wine! 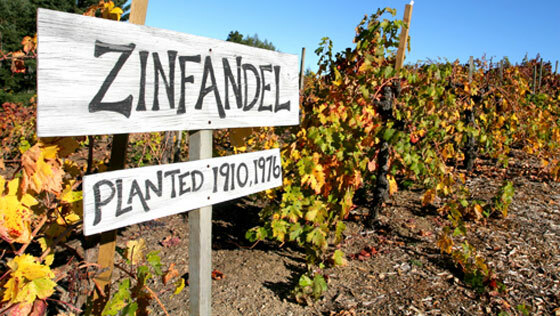 Zinfandel however does pair well with many spicy foods, particularly Mexican, Italian, or Cajun. Zinfandel and cheese are not the most natural of partners but if you do want to find a serviceable wine and Zinfandel food pairing, try aged cheddar or provolone. You may see a number of sources that espouse pairing Zinfandel with Sausage. We have mixed feelings about this. There are hundreds of types of sausages and many of them are quite fatty. If this is something you want to explore, lean towards spicier and leaner varieties of sausage. To learn more about Zinfandel, like its ideal serving temperature and it’s ability to age, clicking here to visit our Varietal page.